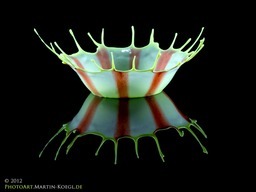 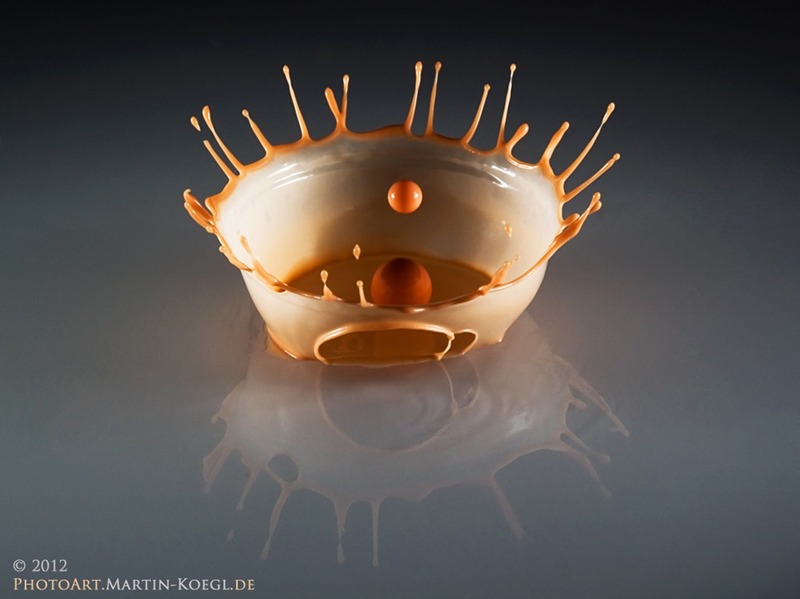 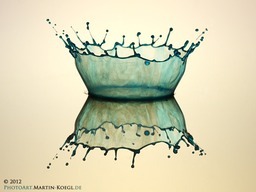 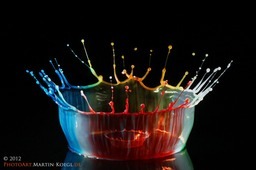 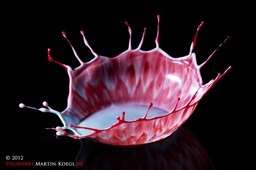 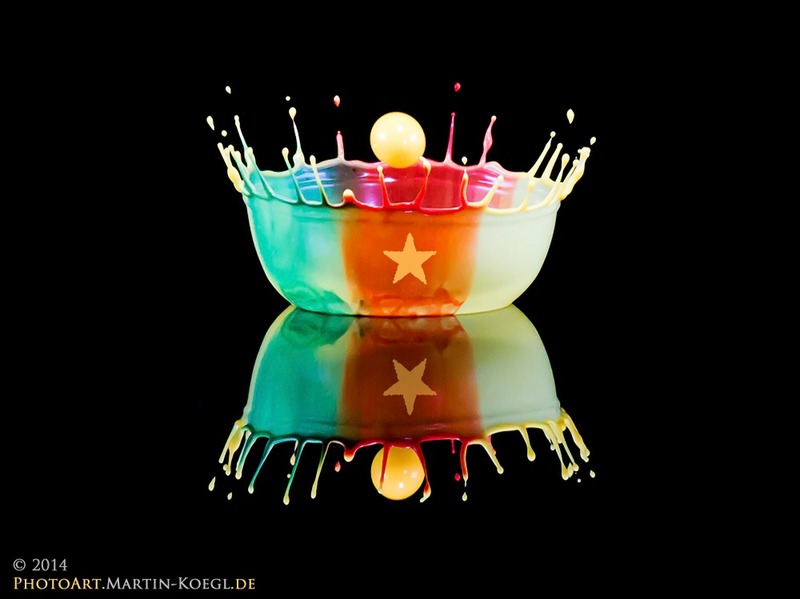 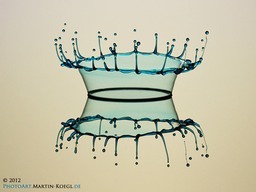 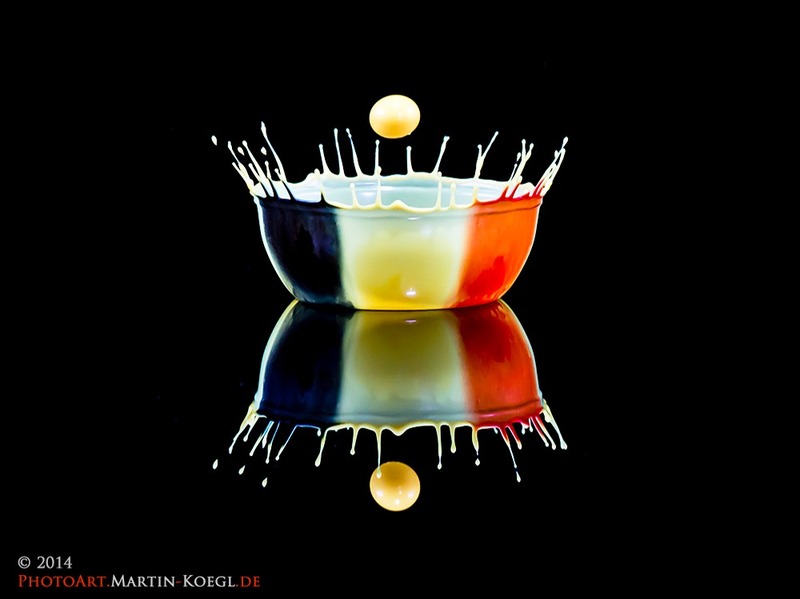 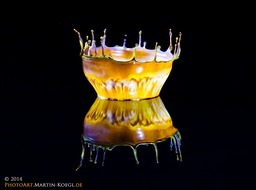 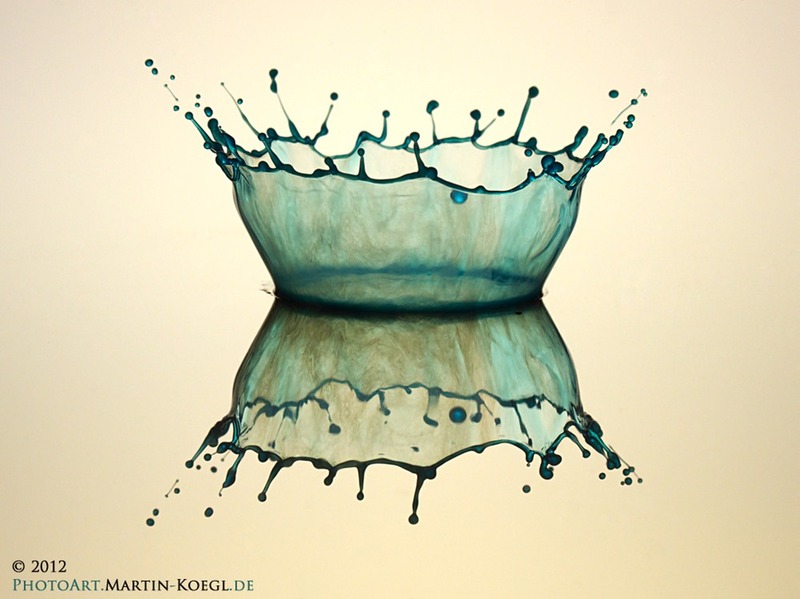 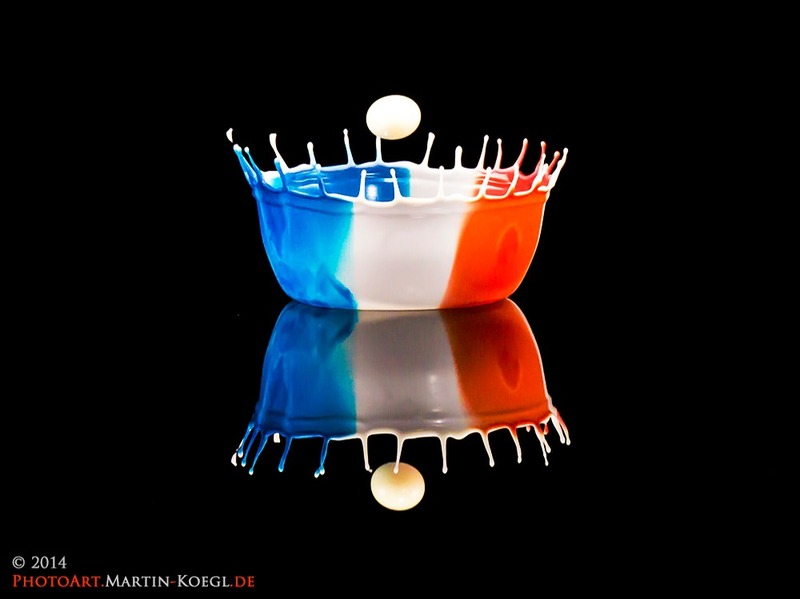 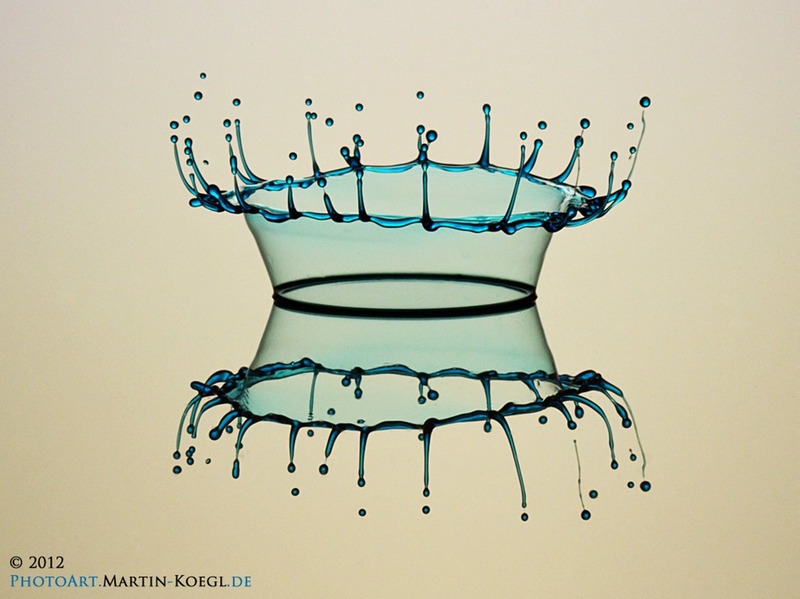 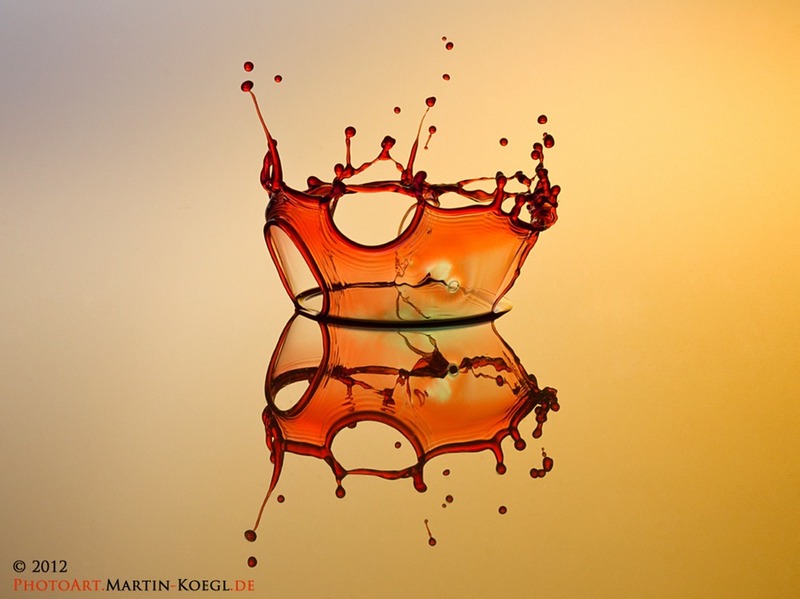 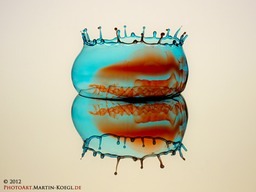 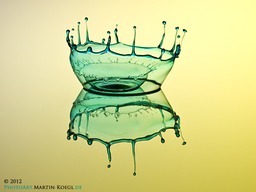 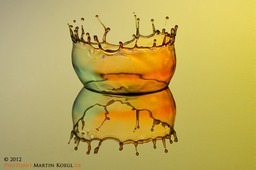 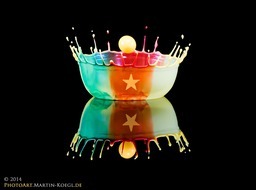 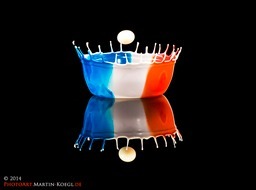 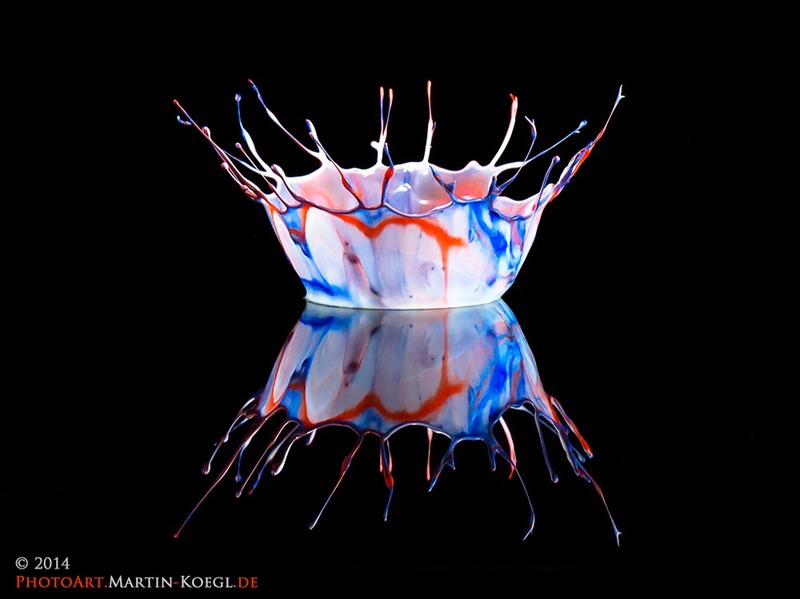 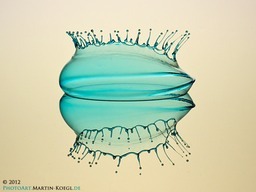 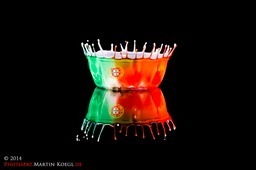 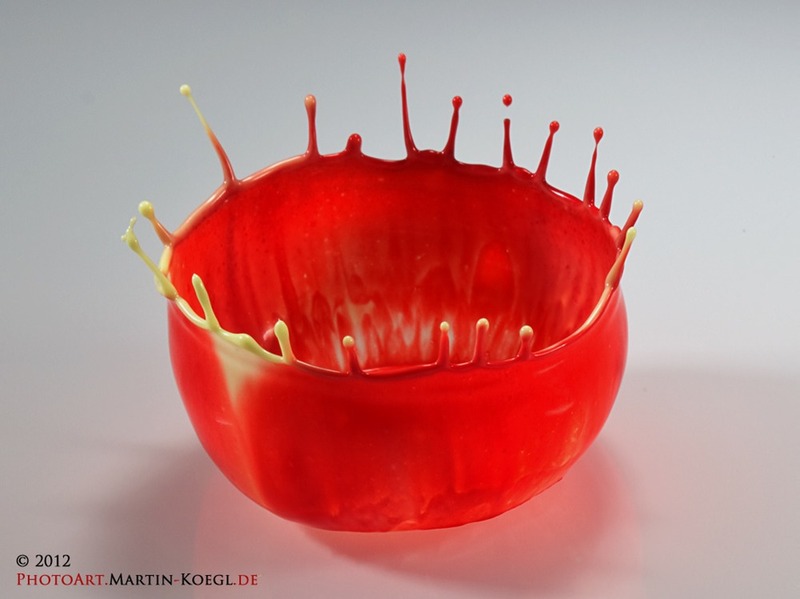 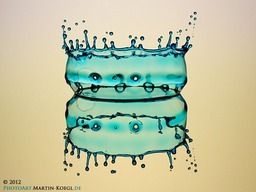 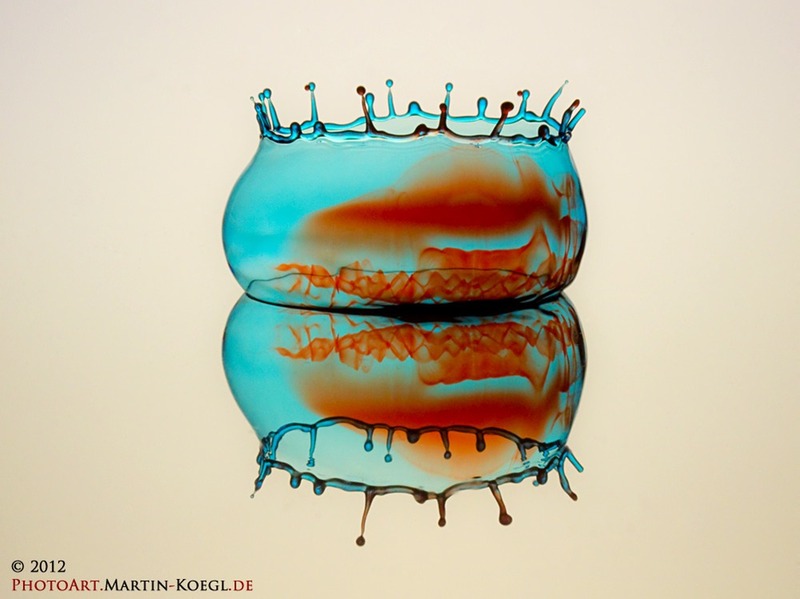 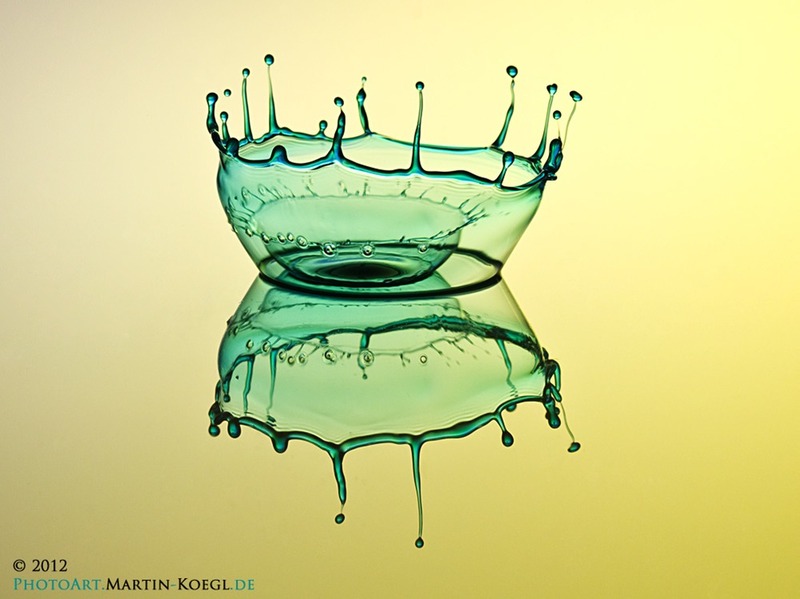 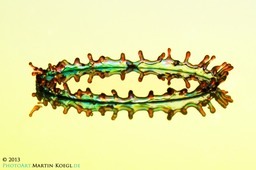 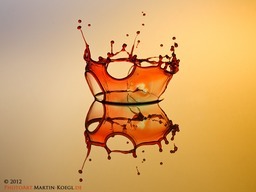 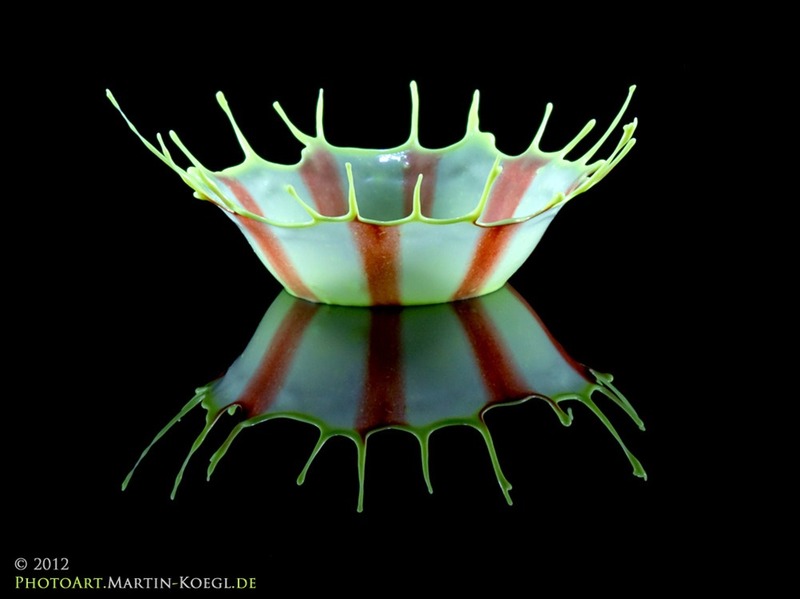 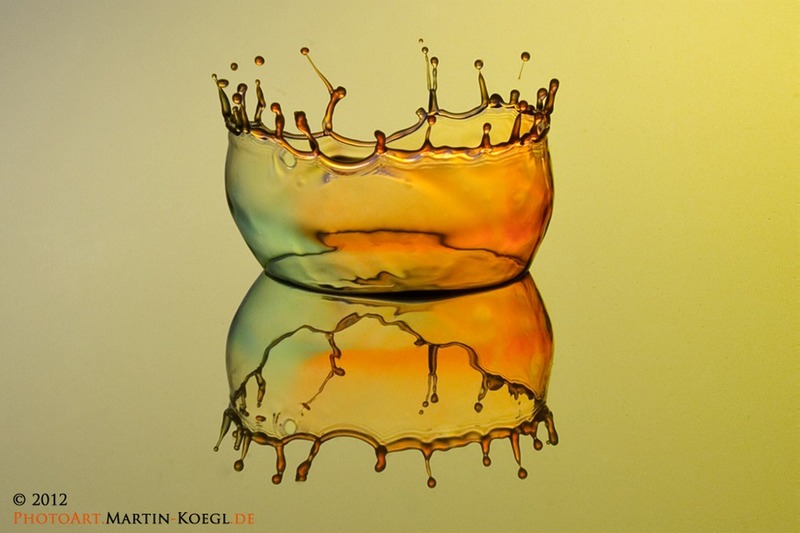 To create a crown, I place a small amount of liquid on an acrylic plate. 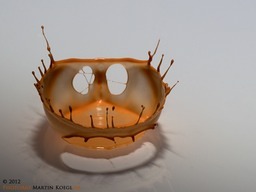 Then I let one or more drops fall onto it, which yields the typical crown shape. 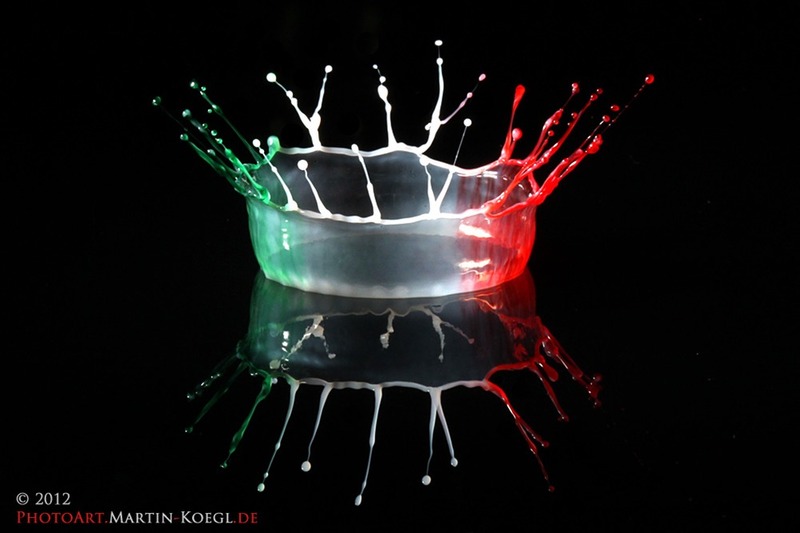 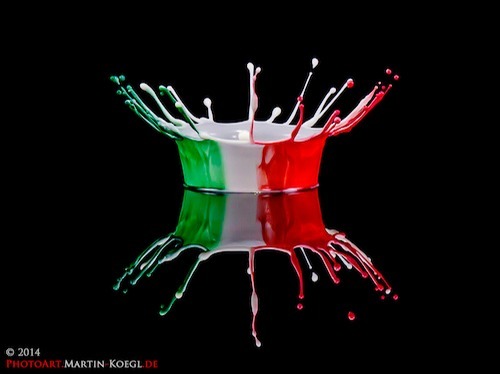 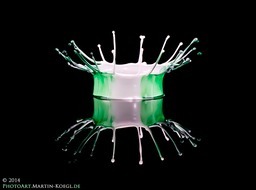 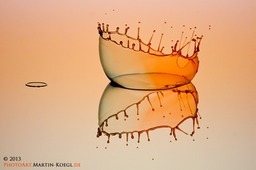 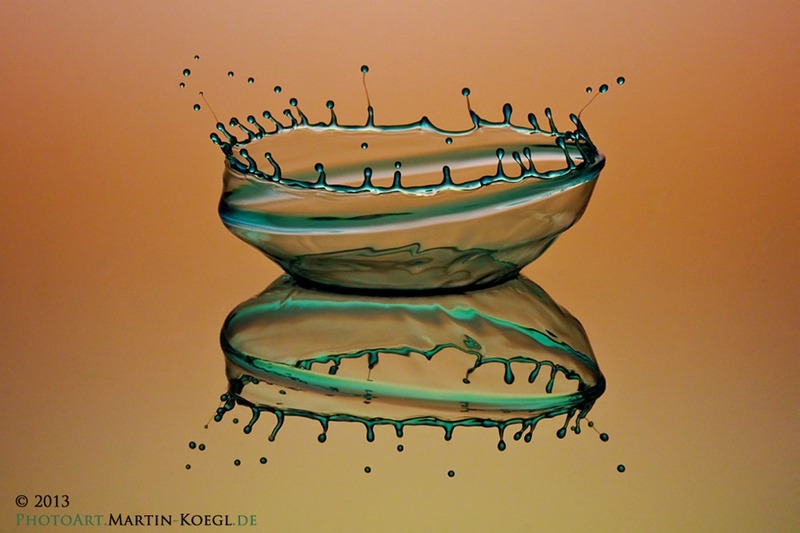 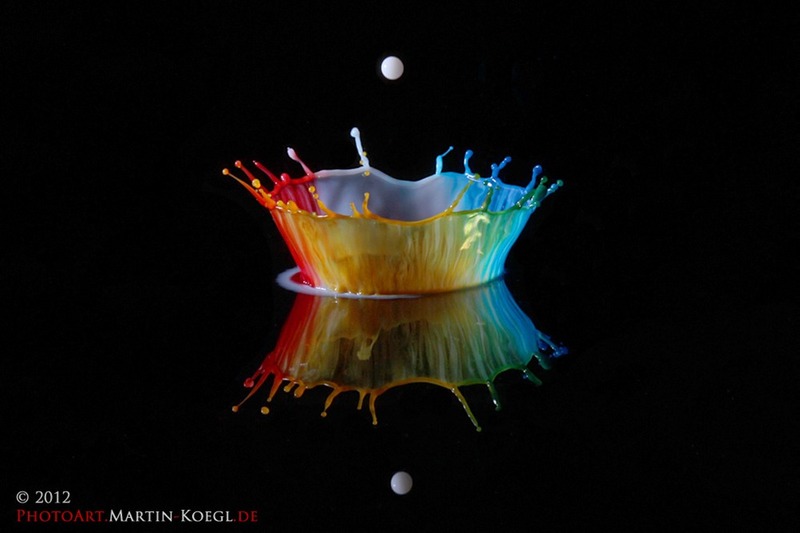 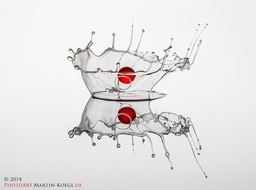 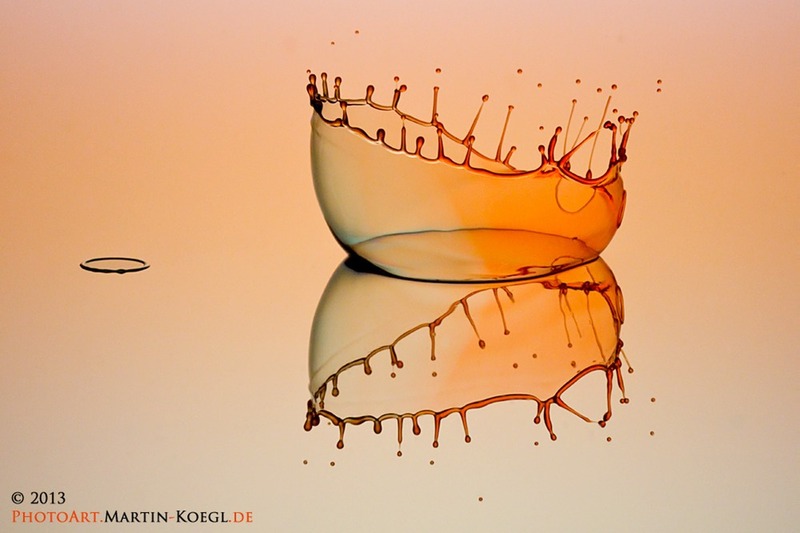 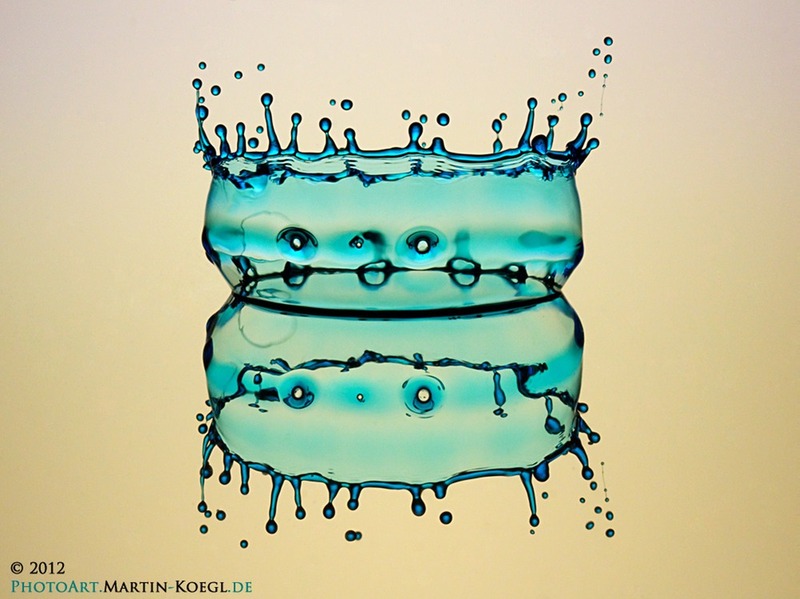 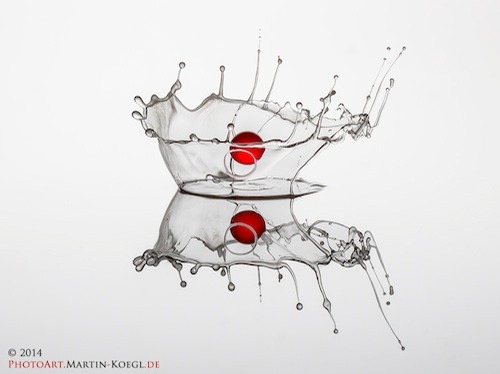 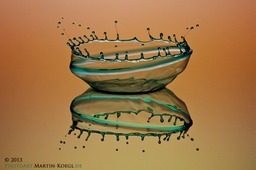 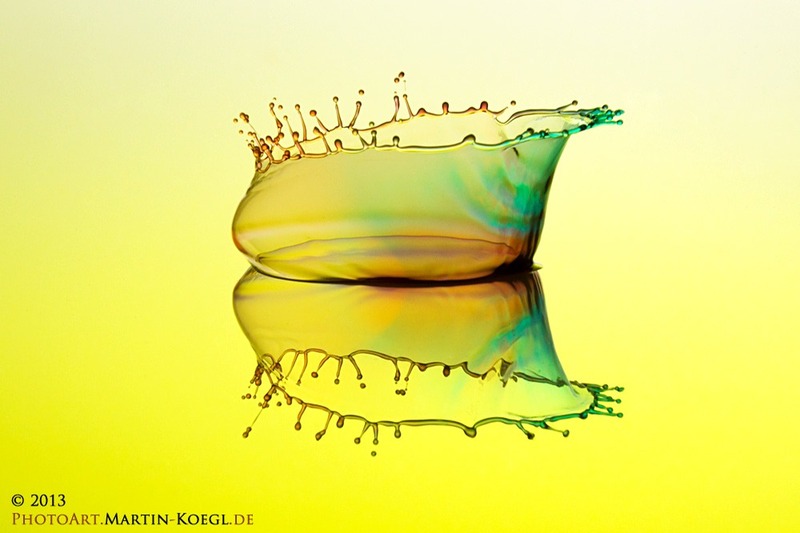 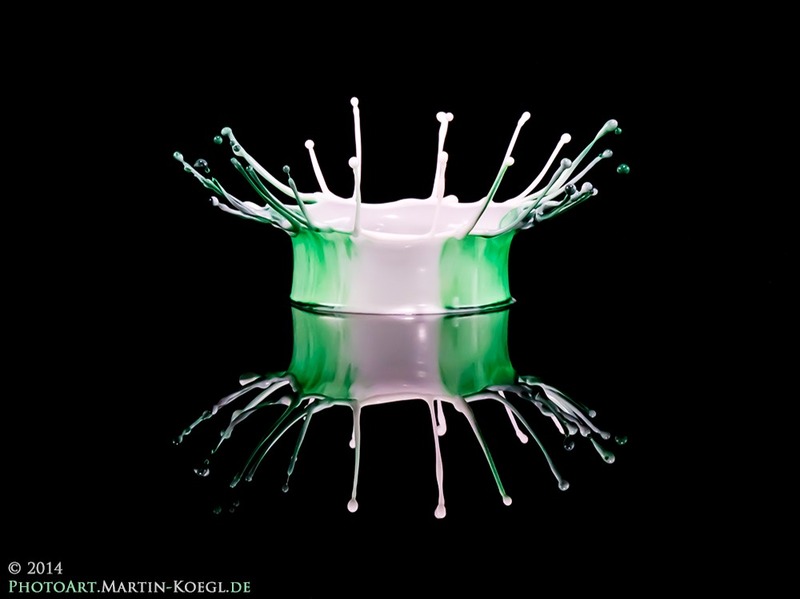 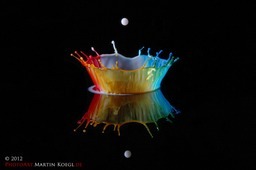 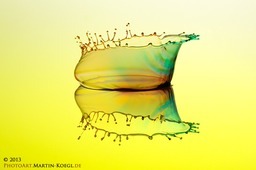 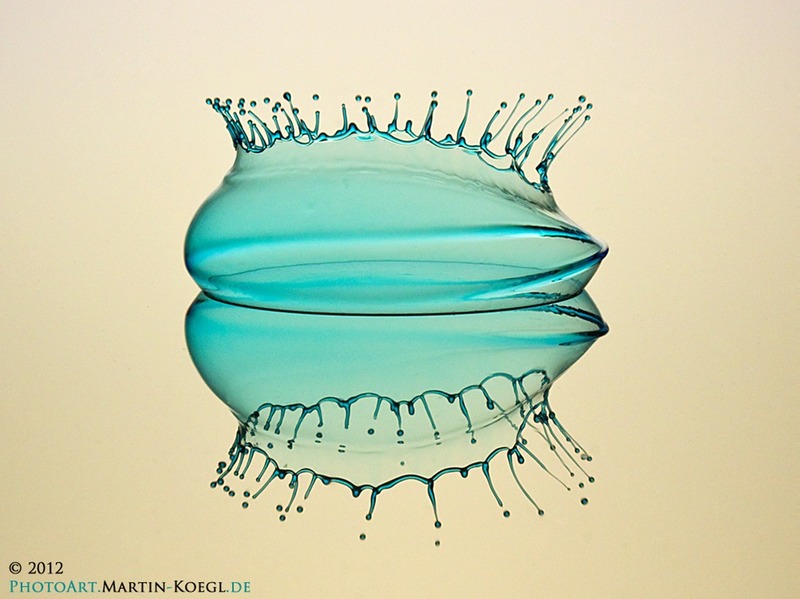 By playing around with the timing of the drops, the lighting, and the colouring of the water or cream, different effects can be created.